I’m passionate about a healthy diet, lifestyle and it’s very important that the food I eat is delicious! Often times my omnivorous friends grumble about vegetarian restaurants or claim they find tofu disgusting, which leads me to ask how they have had it prepared or which restaurants they’ve tried. 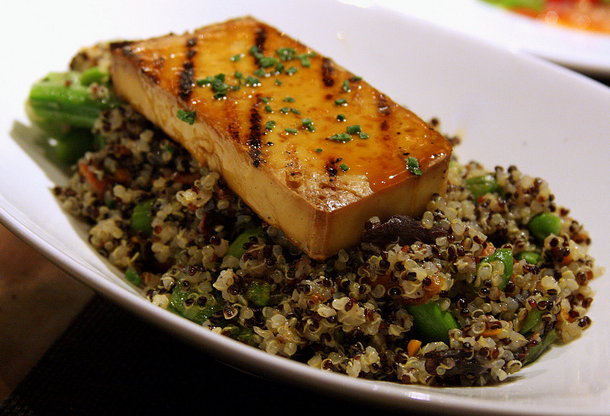 More often than not people have only tried plain cubed tofu, and weird raw/vegan restaurants. Prepared properly, vegetables and tofu can be super tasty and filling!! I’m hoping to provide a place where vegetarians, vegans and meat lovers can learn about delicious new recipes and restaurants!